Yumiko Victoria Lancaster Co. Ltd.
Place your order by mail, telephone or fax. The shipping charge is 800 yen. If you wish to pay on delivery, a handling fee of 300 yen will be charged. We request our customers to bear bank remittance fees. We will exchange any defective items immediately. In case we do not have the item in stock, we will exchange it for a similar product or cancel the order after discussing with the customer. This differs depending upon the product. within 2 to 30 days from the order date. Yumiko Victoria Lancaster Co., Ltd.
(Note): We do not accept cash on delivery from islands except Okinawa. Cash on delivery: payment must be made at the time of delivery. 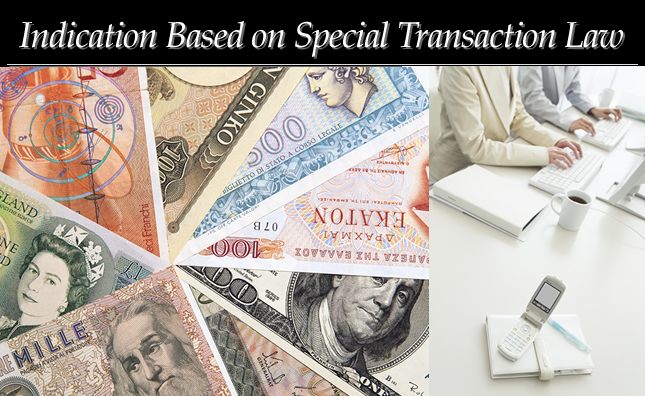 Bank remittance: items are delivered upon confirmation of remittance. order- made hats or items that have been worn or used. receiving and checking the item. (Only unused items will be accepted). delivery of wrong items, we bear the shipping cost. In case you wish to exchange your ordered item, please contact us in advance. We will exchange it free of charge in case of wrong size or color. 1. Depending on current stocks, we may not be able to exchange it for your desired item. 2. The new item will be delivered only after we receive the purchased item from the customer. 2. Rental and sale of clothing and accessories such as jewelry, etc. Yumiko Victoria Lancaster Co., Ltd. and its affiliated companies (hereafter referred to as “the Company Group”) firmly believe in securing clients' private information as an obligation of the ordinance and also as an important social obligation. The Company adheres to the corporate philosophy of “observing the law with high moral principles”. Its private information protection policy to safeguard clients' private information is therefore laid out as follows. Private information includes information provided by clients together with their names, dates of birth, telephone numbers, purchased goods, or received services, including the contents of the questionnaires filled by the applicants, and of enquiries, as well as any other information that permits their identification by any other means. The Company Group, after informing the clients the purpose of using their private information, acquires their private information after obtaining their consent, if necessary. The acquisition shall be made while limiting its purpose as much as possible. The scope of the acquired private information shall be limited sufficiently to achieve the purpose of the acquisition. Also, in acquiring the information, proper and fair methods shall be applied. ・ To introduce the music school. ・ To send concert tickets, catalogues and goods or gifts. ・ To administer after-sales services on purchased goods. ・ To provide information on new merchandise, services and campaigns. ・ To send out questionnaires and to analyze the results of the questionnaires. ・ To solicit monitors and to use the monitored information. ・ To make participation requests in advertisements such as images. ・ To compile statistical data and to analyze clients within the Company Group. ・ To identify the person. The Company Group will use clients’ private information within the scope of the purposes as previously notified above, and shall refrain from using it for any other purposes without their consent. The Group shall neither provide nor disclose clients' private information to any third parties, except business concerns that have concluded a confidentiality contract, without the clients' consent beyond the scope of the notified purposes. In the case where the handling of private information is consigned to outsiders, and also in the case of public authorities such as the courts and the police who may request disclosure of the information, the Group may provide or disclose the information without the clients' consent. With regard to private information kept in the Group, in case any client wishes the information to be disclosed or corrected, or desires termination of usage or deletion, please contact the information desk concerning private information. With regard to enquiries concerning disclosure of private information, except for the case where it causes extreme hindrance to carrying out the Group's business, or except for the case where there is a possibility of physically damaging a person, his assets or other interests, the information shall be disclosed to the client without delay. When the information's correction, suspension of its usage or deletion is requested, upon initiating an investigation without delay, the Group shall correct, use, suspend or delete it if necessary. However, in case of suspension of usage and deletion, kindly understand that it will not be possible to return or exchange the purchased goods. In order to avoid leakage, falsification or deletion of private information by any third party, the said person's identity shall be confirmed at the time of disclosing or correcting the private information. The Group, for the purpose of performing its repeat order operations, shall retain the assignee’s private information for a certain period. The Group obtains and retains applicants' private information for the purpose of hiring. The Group, unless otherwise stipulated by Law, will never provide or disclose such information to a third party without the person's consent. Also, after hiring is complete, all information from rejected parties shall be disposed of and removed by proper means. The Group shall keep any private information acquired from employees for employment purposes. The Group, except when required for its business activities, shall refrain from providing the information to any third party without consent of the said employee. At the Group's call-center, security cameras are installed at all its entrance/exit doors in order to check all the human traffic at the call-center. The data recorded by the security cameras shall be firmly guarded and used exclusively for security purposes. Unless it is requested to disclose the information by ordinance, or such public authorities as the courts or the police request disclosure of the information, it shall not be disclosed to any third party.